Nathaniel Marvin Wolff is an American actor and musician born on 17th December 1994. He was interested in music and acting since his childhood. According to his father, Nat used to teach himself to play major and minor chords on the piano when he was just four years old. By the age five, he began writing his own songs. In 2003, Wolf started his acting career Off-Broadway with a minor role in his mother’s play Getting into Heaven. Nat earned fame and recognition for starring in the Nickelodeon musical comedy series The Naked Brothers Band on aired from 2007 to 2009. The series received critical acclaim and it was written and produced by his actress mother Polly Draper. Later on, Wolff portrayed several roles in various films including Special Things To Do, Stuck in Love, The Last Keepers, The Fault in Our Stars and Ashby. 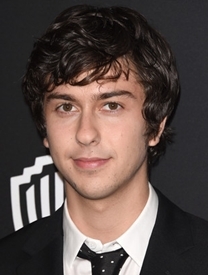 Besides acting, he has a passion for music and in 2007 Wolff’s father co-produced the series two soundtrack albums named The Naked Brothers Band which peaked at number 23 on the Billboard 200 and I Don’t Want to Go to School in 2008. He and his younger broth Alex Wolff as well created the music duo called Nat & Alex Wolff and released the album Black Sheep in 2011. Nat won numerous accolades and nominations throughout his career including BMI Award, Young Artist Award and Teen Choice Award. 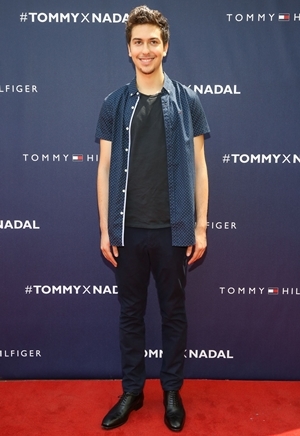 In his personal life, Nat Wolff dated several female celebrities such as Miranda Cosgrove and Margaret Qualley. Currently, he is dating Ashley Benson. 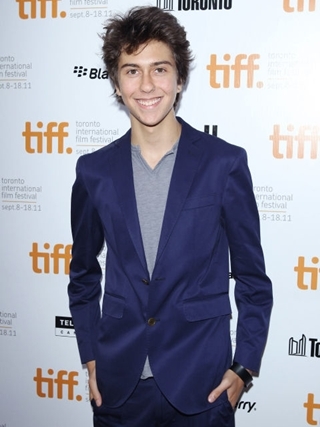 Given below is the list of complete actor Nat Wolff body measurements including his height, weight, chest, waist, biceps and shoe size. Music is his biggest passion. Nat is a fan of rock band, Nirvana.